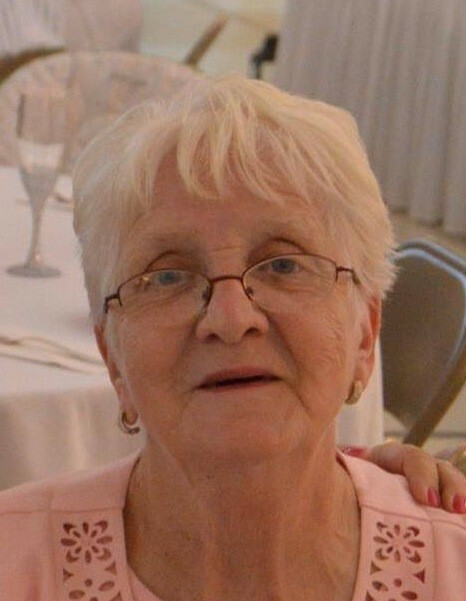 Joanne D. Reifer, 85 of Houtzdale died Thursday January 31, 2019 at Mt. Nittany Medical Center, State College. Born January 12, 1934, in Houtzdale she was the daughter of the late Amil and Mary (Timchak) Johnson. Joanne was a member of Christ the King Catholic Church. Joanne was a homemaker and a care giver for many individuals in the Houtzdale area. She was formerly employed at Care Free Manor in Osceola. She enjoyed gambling, bingo, and especially enjoyed cheering for her children, grandchildren and great grandchildren at sporting events. She was their greatest fan. On February 1, 1954, she married William James Reifer, who preceded her in death on Sept. 10, 1992. Joanne is survived by ten sons; William (Stacey) Reifer of Osceola Mills, Andrew Reifer of Osceola Mills, Shawn (April) Reifer of Harrisburg, Gregory Peter (Tamara) of Hollidaysburg, Patrick Reifer of Houtzdale, Matthew Todd (Rebecca) Reifer of Houtzdale, Craig (Christinia) Reifer of Janesville, and Jacob (Maria) Reifer of San Diego CA, Joseph Reifer of Easton, Kelly (Lori) Reifer of Sanborn ; six daughters; Linda Edmondson of Clearfield, Madeline (John) Serafim of San Diego CA, Jennifer (Steven) Carey of San Diego, CA, Mary Kronewetter of Houtzdale, Beth Ann (James) Greslick of Ginter, and Angela (Andrew) Rackish of Lanse; 30 grandchildren, 23 great grandchildren and one on the way. Also surviving are two brothers; twin brother John"Jack" (Pat) Johnson of Willoughby, OH and Paul (Doris Jean)Johnson of New Hope and numerous nieces and nephews. Joanne was preceded in death by her parents, husband, a daughter Shannon, two brothers Emil and Arthur Johnson , a sister Mary Gibson, a daughter-in-law Mary Lee Reifer and a son-in-law Les Edmondson. Mass of Christian Burial will be celebrated Monday Feb. 4, 2019 at 11:00 a.m. at Christ the King Catholic Church with Father Marc Solomon as celebrant. Visitation will be held Sunday at the Birger A Freeberg Funeral Home Inc, Houtzdale from 2:00 to 8:00 p.m.
Father Solomon will hold a prayer service Sunday at 2:00 p.m.at the funeral home followed by the recitation of the Rosary by the Alter and Rosary Society at 2:30 p.m..